It is IntLawGrrls great pleasure to welcome Bonita Meyersfeld (left) as today's guest blogger. Bonita is an associate professor of law at the University of Witwatersrand School of Law in Johannesburg, South Africa. She is also the head of gender at the Centre for Applied Legal Studies and an editor on the South African Journal on Human Rights. Bonita teaches international law, business and human rights and, prior to working in South Africa, was a legal advisor in the House of Lords in the United Kingdom. Bonita obtained her LLB from Wits Law School and her LLM and JSD from Yale Law School and was a visiting fellow at the London School of Economics. Bonita has written, lectured and presented in Africa, the United States, Canada and Europe in the areas of international human rights law, transitional justice, women’s rights, business and human rights and development. Bonita has worked as a litigator and legal advisor, advising South African governmental departments on developmental projects, particularly regarding water and gas distribution. She has also worked as gender consultant to the International Center for Transitional Justice in New York and as a legal consultant at Interights in London. In her guest post below, Bonita blogs today on her excellent new book, Domestic Violence and International Law, which is part of a larger body of her work focusing on intimate systemic violence and international law. 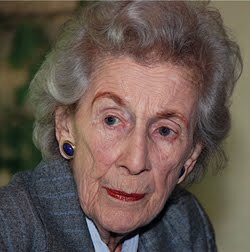 I would like to dedicate this blog to Helen Suzman, anti-apartheid activist and politician. 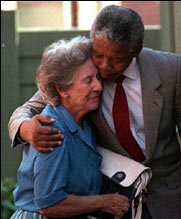 Ms Suzman, who died in January 2009, was a rare personality whose commitment to justice and intellectual integrity found her alone in parliament fighting the battle of racial equality against the apartheid government in South Africa. Ms Suzman’s work is notable for being robust at a time when equality and human rights were not popular concepts. She pursued her line of work in the face of personal danger, political opposition and social approbation. The demise of apartheid is due in no small part to her work. I'd just like to add that Boni, though she may be too modest to say this, was also instrumental in getting the jurisdiction of UK courts over ICC crimes retrospectively applied back from 2001 to 1991 - potentially allowing for the prosecution of, say, Rwandan genocide suspects found in the UK.